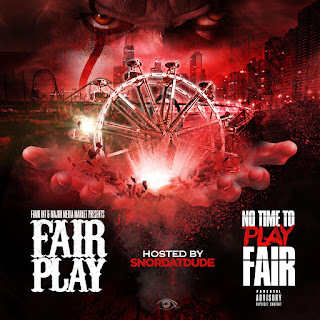 Chicago artist Fairplay releases his latest mixtape entitled "No Time To Play Fair" hosted by popular YouTuber SnorDatDude. "No Time To Play Fair" is a twelve track mixtape with him literally destroying other artist instrumentals. The mixtape is lead by his freestyles over Meek Mill's "We Ball", Lil Baby's "My Dawg", G Herbo's "Who Run It" and classic instrumentals like "Quiet Storm" and "C.R.E.A.M.". Be on the look out for more music and visuals from Fairplay in the future.